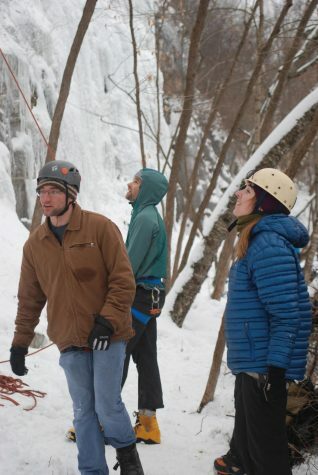 Climbers from across the region visited Winona during the warm weather on Saturday, Feb. 2 to enjoy the Winona Ice Park. The park, created by the city of Winona through the Parks and Recreation department, has a new location to call home this winter. 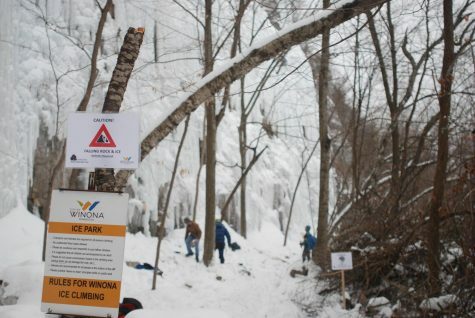 After multiple years on the west end of Winona, the Winona Ice Park is now located just off the Sugarloaf Trailhead near Sugarloaf bluff. A group of climbers watch as their friend begins his climb to the top of the ice wall. Members of the group said that they were first brought into the world of ice climbing through their initial love of rock climbing. 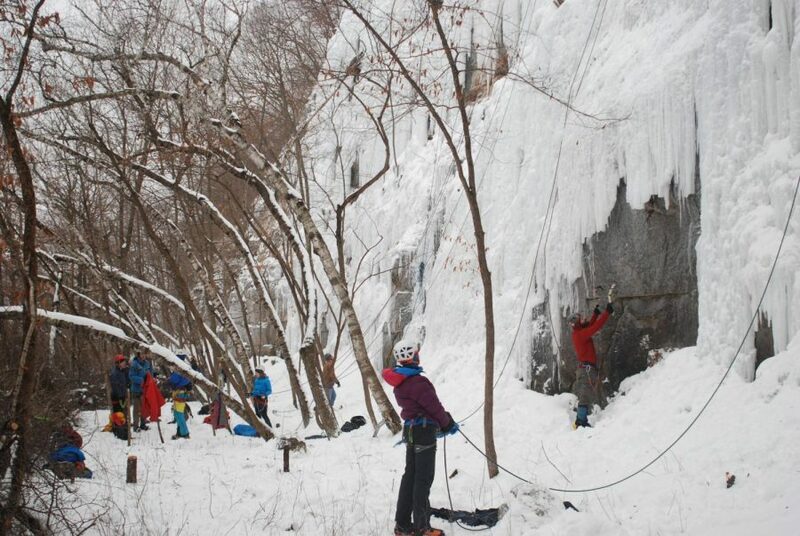 They said that though the equipment and conditions are a bit different, the principle of climbing remains the same whether a person is on rock or ice. Michael Sullivan of Madison climbs the east side of the Winona Ice Park ice wall on Saturday, Feb. 2. Sullivan is one of dozens of people that day that had travelled multiple hours to climb in Winona. Though Sullivan does climb at a couple areas near where he lives, he said that he made the trek to Winona because of the larger size of the Winona Ice Wall compared to other locations he’s climbed at. Since being created two seasons ago, the Winona Ice Park has become the third ice park in the state of Minnesota, along with the first in Sandstone, Minnesota and another in Duluth, Minnesota. 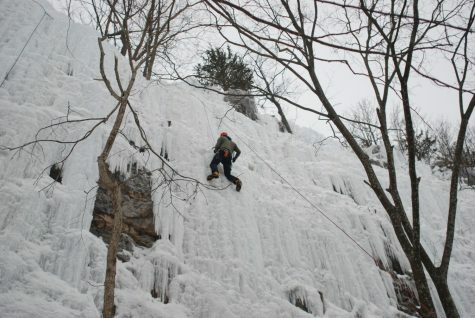 Ice climber Michael Sullivan said that he would now choose the Winona Ice Park as his favorite of the three locations. 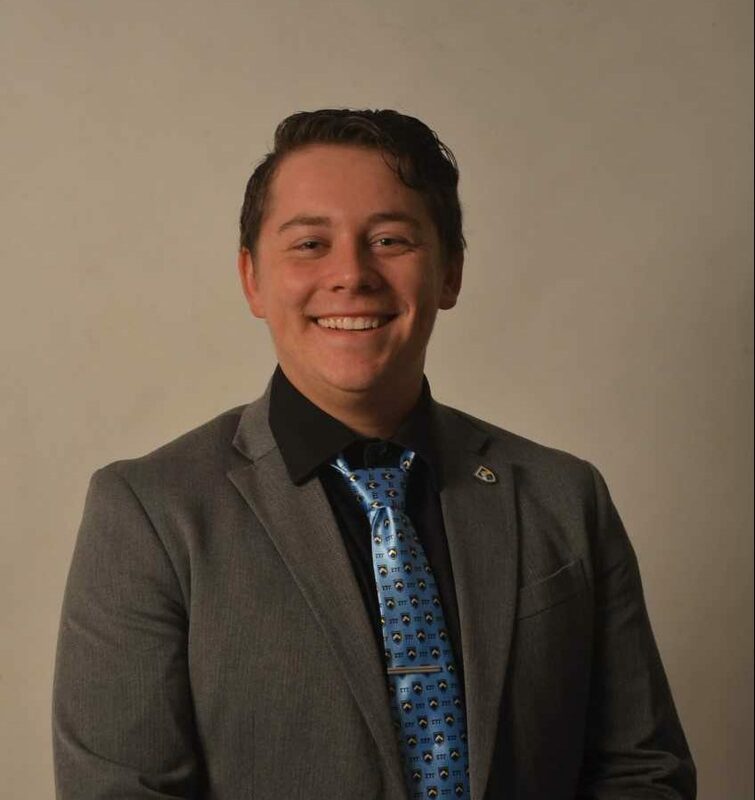 Sullivan said he felt this way because the area to climb is much larger at this wall than other locations at which he has climbed.